Do you have photos, historical accounts or other items pertaining to the Blomkest area? Would you like to share this historical information with the world? 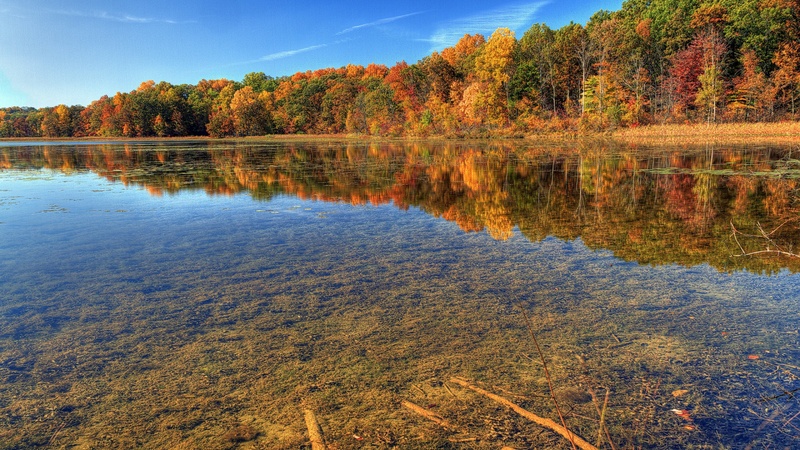 LakesnWoods.com would like to publish your Blomkest photos (current or historical) or historical accounts on this website. Original materials can be returned and your privacy will be respected. 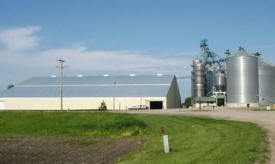 Located 13 miles south of Willmar on Highway 71 is the town of Blomkest. A city founded on small-town values that is able to offer a quiet lifestyle while still having all of the essentials. Businesses such as the local bank, beauty shop, church, cafe, gas station and car wash, as well as the plumbing and hardware store, serve the immediate needs with larger city access only 13 miles away. Blomkest also has a strong connection to the farming community which shines through in its hometown values and hardworking community. Come to Blomkest during Blomkest Appreciation Day, the second Thursday in July, and you will find the entire town population, as well as the county folks, celebrating with a parade and a Firemen’s Relief Supper. Small town events like the parade, fish fry and turkey Bingo are some of the pleasures of living in a small town—nobody is a stranger for long! 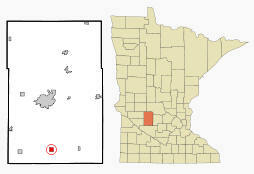 Blomkest is a city in Kandiyohi County, Minnesota. U.S. Route 71 and Minnesota State Highway 7 are two of the main routes in the community. According to the United States Census Bureau, the city has a total area of 1.03 square miles (2.67 km2), all of it land. The surrounding topography is marked by flat to slightly rolling fields, almost all of them farms. Big Kandiyohi Lake lies to the northeast of the town. The elevation is 1,135 ft (346 m). As of the census of 2010, there were 157 people, 68 households, and 53 families residing in the city. The population density was 152.4 inhabitants per square mile (58.8 /km2). There were 72 housing units at an average density of 69.9 per square mile (27.0 /km2). The racial makeup of the city was 95.5% White, 0.6% Asian, 0.6% from other races, and 3.2% from two or more races. Hispanic or Latino of any race were 6.4% of the population. There were 68 households of which 25.0% had children under the age of 18 living with them, 73.5% were married couples living together, 1.5% had a female householder with no husband present, 2.9% had a male householder with no wife present, and 22.1% were non-families. 17.6% of all households were made up of individuals and 10.3% had someone living alone who was 65 years of age or older. The average household size was 2.31 and the average family size was 2.60. The median age in the city was 49.9 years. 17.2% of residents were under the age of 18; 3.7% were between the ages of 18 and 24; 17.3% were from 25 to 44; 40.1% were from 45 to 64; and 21.7% were 65 years of age or older. The gender makeup of the city was 53.5% male and 46.5% female. 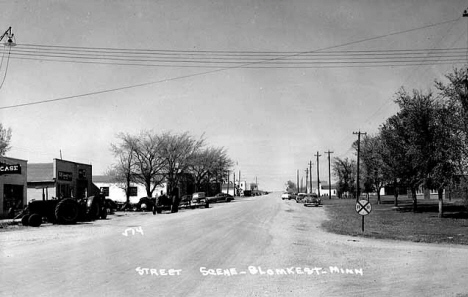 BLOMKEST, a city in Roseland Township, section 14, incorporated as a village April 7, 1952; it was platted in October 1926 and established on the Luce Line (Minnesota Western Railroad) as Kester in honor of C. E. Kester, then mayor of Hutchinson; however, confusion with a town called Kiester in Faribault County resulted in the name Kesterville, 1928-1943; that name, while used, was still not satisfactory, and when its post office began in 1928, it was called Blomkest, a name combining Kester with Blomquist, honoring Ole Blomquist (known as Blom Olof Anderson in his native Sweden), who was one of the early settlers of the community. The village had a station of the Minneapolis and St. Louis Railroad. City Council meets at 7 p.m. on the second Monday of each month at the Community Center. Christianson is a leading manufacturer of ship unloaders and pneumatic conveying systems for a wide range of bulk materials including feed and cereal grains, plastics and chemicals. The company's equipment operates in agriculture, commercial bulk handling, and marine port industries world-wide. Christianson's product line spans from small bulk seed conveyors to large ship unloaders for discharging ocean-going vessels at rates of 600 metric tons per hour. Concorde Bank is committed to providing quality financial services to our present and future customers. It is our mission to maintain a sound institution of high integrity with a friendly and professional staff that is responsive to the changing needs of the community. At Concorde Bank, we want you to bank in a way that best fits your needs. We offer products and services so you are able to bank when and where you need to, yet still receive the personal service you deserve in a safe and professional community bank environment. We invite you to come to one of our locations in Blomkest or Willmar and begin "Banking Your Way!" Hurley's Tree Service of Blomkest, MN offers residential and commercial tree services at competitive prices. Our insured business is committed to providing first class tree services and satisfaction to our valued customers. At Hurley's Tree Service, we are prepared to meet and exceed your expectation. Welcome to R & S Repair: your one-stop, on-the-spot auto service headquarters for a complete line of quality tires and auto services. For years, we have provided the Blomkest, MN area with the latest products and unprecedented services for everything we sell. And for years, our customers have been coming back. Visit our online catalog for the tires you need or stop in and see us. Take a look around. If you don’t find what you need, stop in and see us! 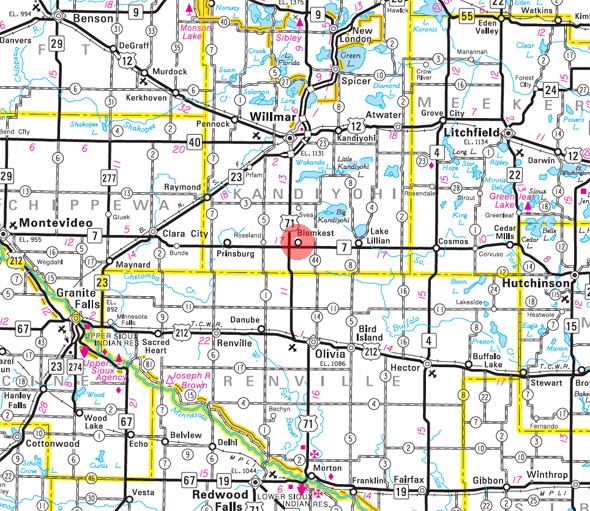 We’re conveniently located in Blomkest, MN.